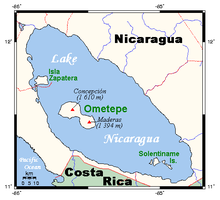 Picturesque Ometepe Island lies in Lake Nicaragua (Lago de Nicaragua), and is one of the main attractions in the country. The island is geologically quite fascinating as it is composed of two volcanoes joined by a thin flat isthmus. Blessed with natural attractions and rich in history, Ometepe has become a popular remote getaway and outdoor destination. 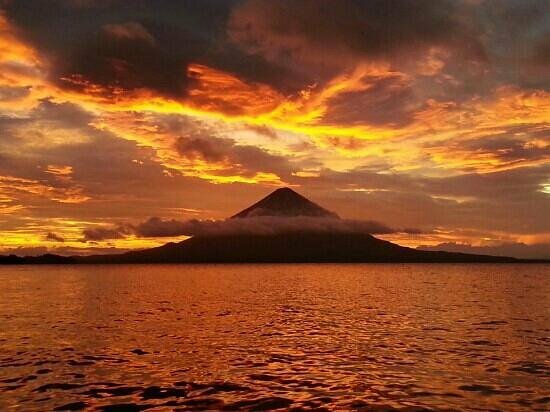 Concepcion is the one of Ometepe’s volcanos rising proudly on the northern half of the island. It is well admired for its majestic appearance marked by a perfectly shaped cone. On the southern half of the island lies Maderas, an extinct volcano adorned with an enchanting cloud forest and a lagoon in the crater. 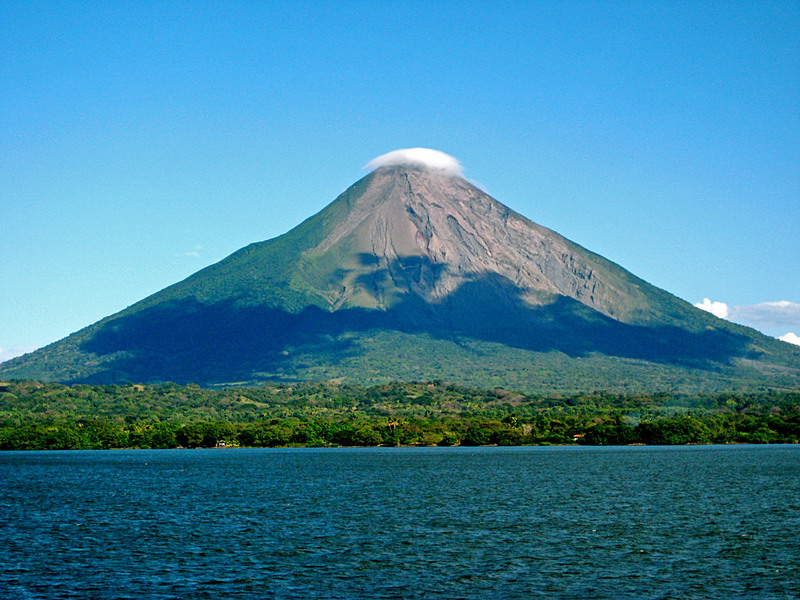 Ometepe offers a number of hiking routes but perhaps, the most prominent hiking destinations are the volcanoes. But climbing the peaks is not a walk in the park. If you feel you still want to take on the challenge, you will need to start early in the morning. Visitors who wish to hike the volcanoes is required by law to hire a guide for safety reasons, mainly due to the paths not being well-marked. Hiking to the top of Concepcion can be completed in about 8 hours, and there are a couple of trails to choose from. Ascending its slopes gives you the opportunity to watch howler and white face monkeys in the wild. Maderas Volcano, on the other hand, is less strenuous and can be completed in 6 hours. 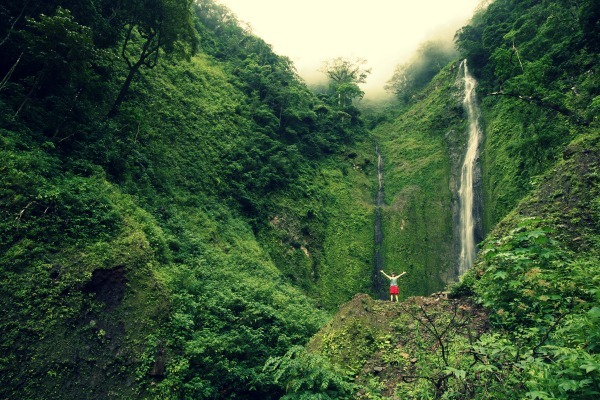 Aside from being mesmerized by the crater lake, your journey to Maderas can also include a stop at a beautiful 35-meter waterfall on the southern side of the volcano. But if mountain climbing is not your cup of tea, there are definitely other activities that will keep you busy like horseback riding, bicycle riding, fishing, and kayaking on lakes and rivers. Interestingly, The island‘s history goes back to the Mayan and pre-Columbia time. Artifacts created during these periods can still be found all over the island. 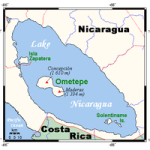 Ometepe is also home to several stone idols and petroglyphs carved into basalt boulders. 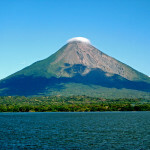 Slowly, Ometepe is becoming more open to mass tourism, but it is very much a backpacking destination at heart. This makes the island an affordable place to visit. There are several budget accommodation options to choose from, including ‘village-hotel’ services offered by islanders, however, if you desire luxury, there are also a few of hotels and lodges here. Moyogalpa is the island’s main port, where ferry and boat services travel back and forth many times during the day, connecting it to San Jorge, the nearest town on the mainland. Moyogalpa is a small and laidback town which has the most tourist infrastructure on the island. This is where you can find cozy hotels, restaurants that serve international and local cuisine, car rentals, pharmacies, bars, internet cafes and a health centre. 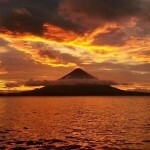 The city is also the favored gateway to Concepcion volcano. From Moyogalpa, you can easily make your way to Punta Jesús María, a narrow tip situated on the western portion of the island. Punta Jesus Maria has become a prominent tourist spot as it overlooks the water and makes an amazing vantage point for sunsets. If you want to enjoy the scenery longer, camping here is absolutely possible!